Our Handmade brush finished Therapy Special range of bowls come direct from a Himalayan work shop where they are hand beaten by expert craftsmen to their completed shape then brush finish. 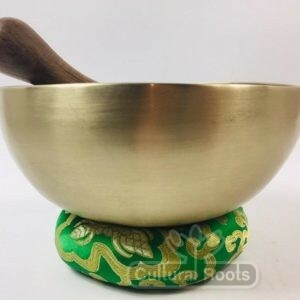 Made of a 7 metal mix but with a higher percentage of tin and silver than standard 7 metal bowls for extra sonic sound, overtone and lasting resonance. 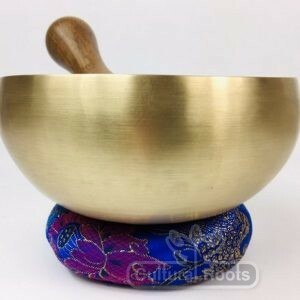 Each one of these singing bowls is unique, each plays differently, most will produce multiple notes, frequencies and long lasting overtones depending on how they played. 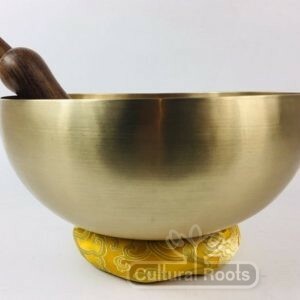 Each bowl is individually checked for standard and predominant frequency ranges. 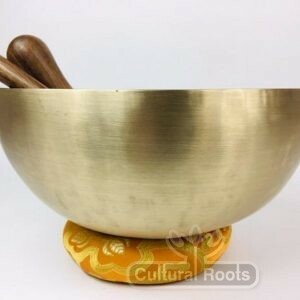 The bowl also includes A striker and a silk cushion base as pictured. 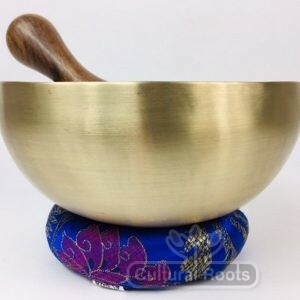 9” and above Therapy Special bowls come with an additional mallet as standard. 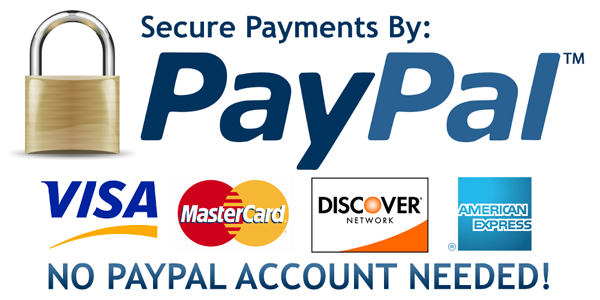 Different colour bases to those shown can be provided on request. 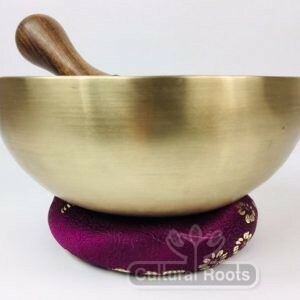 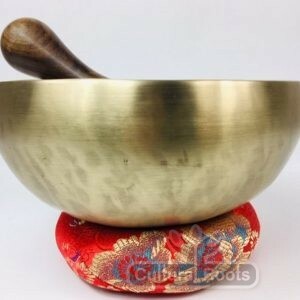 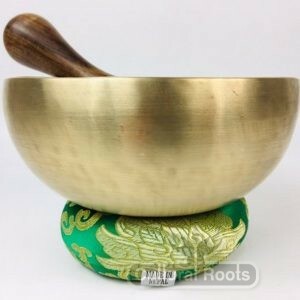 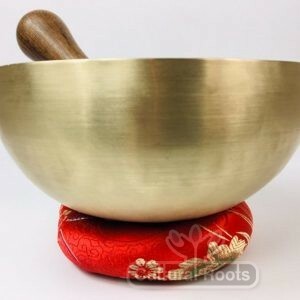 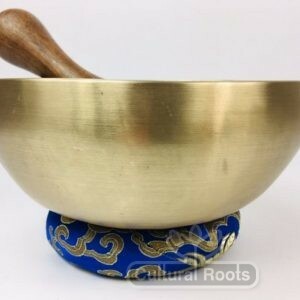 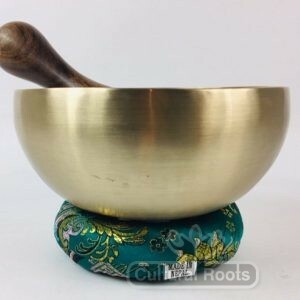 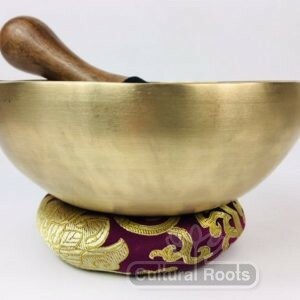 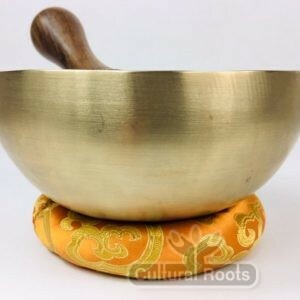 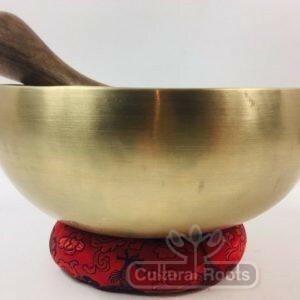 Many singing bowls especially hand made bowls play two or more frequencies when played in rotation (Firmly skimming the wand around the outside opening) and when struck (lightly with the wand or mallet.